The first planet from Sol is treated as an unremarkable rock in space in modern times. Some media posts originating from the preeminent mining companies in the System lament about the mineral resources that could be exploited from Mercury, but little appreciable action has ever been taken to that end. The Solar Consortium has a token drone platform set up along the planet’s terminator, which has been described by a Consortium spokesperson on more than one occasion as a leftover curiosity from the early days following humanity’s exodus from Terra. The drones conduct surveys in areas of the planet hospitable to their construction, sometimes yielding useful scientific data, but mostly their worth is in the pretty pictures they send which often find their ways into shows such as Captain Neutron. 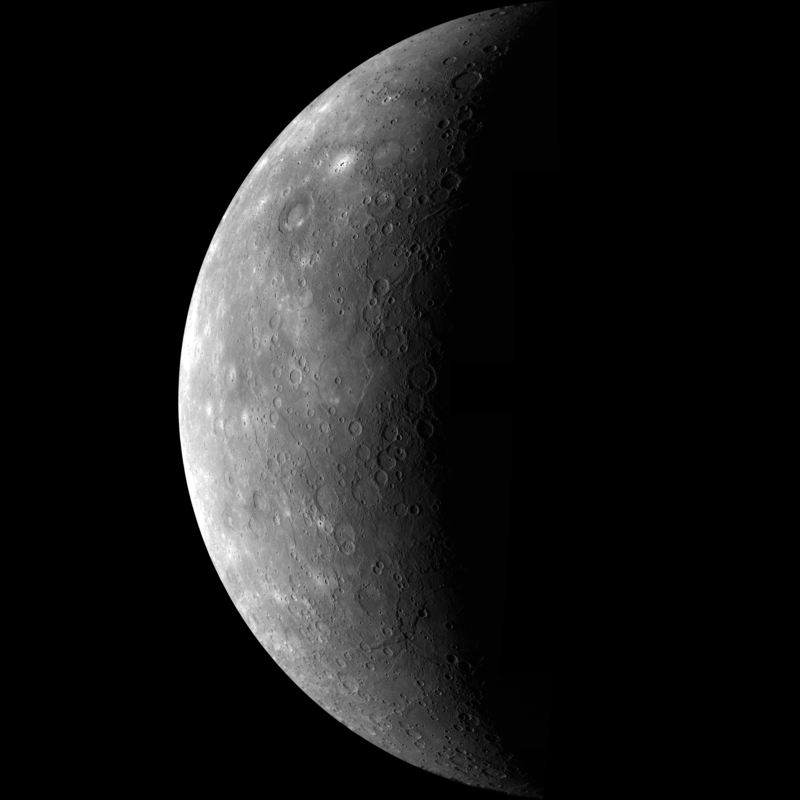 No appreciable effects on Mercury or its orbit have been observed in connection with Terra’s destruction. Image captured by the MESSENGER Probe, circa September 29, 2009 C.E. Credit to NASA, Johns Hopkins University Applied Physics Laboratory, and Carnegie Institution of Washington.